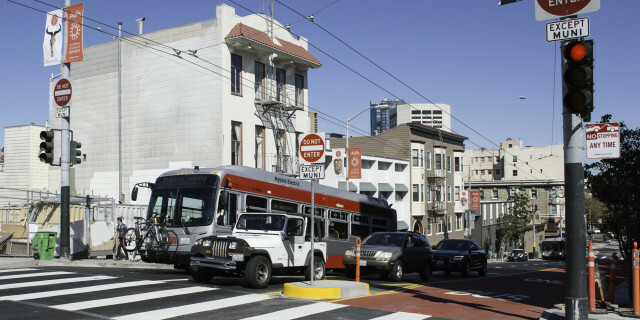 Bus- or streetcar-only turn restrictions provide the safety and operational benefits of general motor vehicle turn prohibitions while permitting a critical bus movement. May be applied at any intersection at which buses turn but general traffic left or right turns can be prohibited. 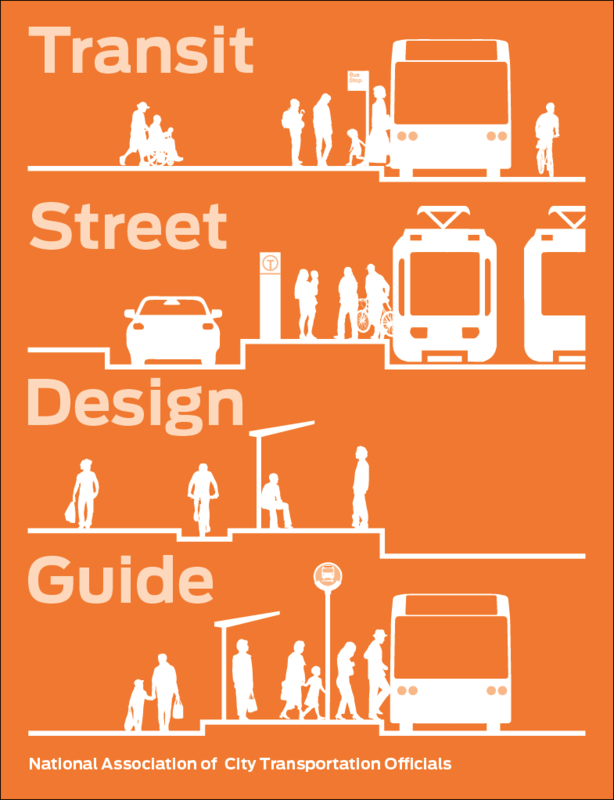 Transit vehicles require larger turn radii than most vehicles, a challenge to pedestrians. However, transit turns are less frequent. Install No Turns; Except Buses signs at intersections (MUTCD R3-3 and R3-1A). Provide a through-only arrow signal head (MUTCD 4D-2C). Install advance signage before intersection. If a bus lane is present, a solid white lane line should be marked at the approach to the intersection along the bus lane. 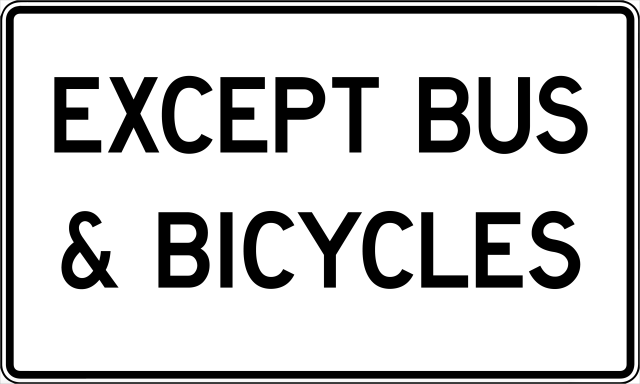 Bikes should be excepted from the turn restriction and when possible provided with dedicated infrastructure. 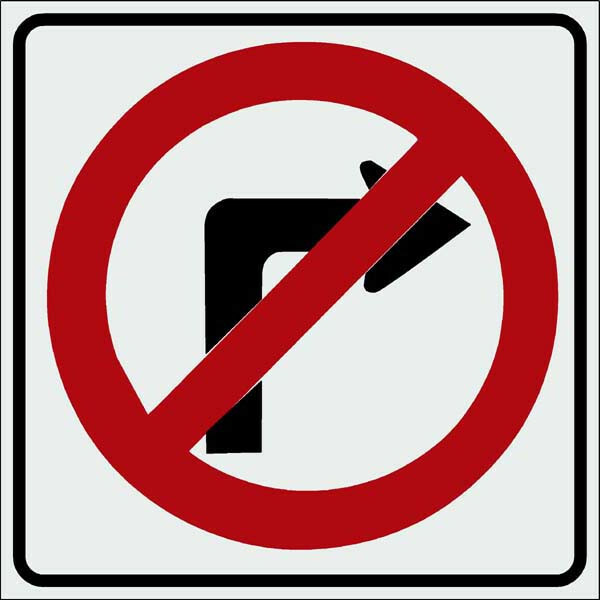 Wayfinding signage directing motor vehicle drivers to permitted turns can be provided.